SKU: SR2BX. Notes on sSpec SR2BX. Type CPU / Microprocessor. Processor number i5-6500. Processor core Skylake-S. Tested for Full Functions, R2/Ready for Reuse. Core stepping R0. Number of cores 4. Intel Core i7-2600 SR00B 3.4GHz Quad-Core Socket LGA 1155 CPU Processor. 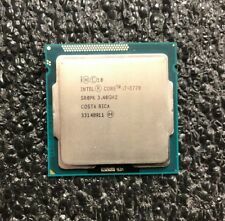 This processor was pulled from a working machine and is in excellent condition. Tested working. AMD Ryzen 3 2200G. Processor Base Frequency: 3.5 gigahertz. Processor Turbo Frequency: 3.7 gigahertz. Its integrated Radeon Vega 8 graphics support dynamic, high-resolution visuals, and its built-in Wraith Stealth cooler ensures thermal stability. 3770-SR0PK 3.40GHz-Quad Core Socket-1155 CPU-Processor. Socket 1155, LGA1155. NO EXCEPTIONS. Socket: LGA 1151. Cache: 6MB. Core Count: 4. Product Info. Instruction Set 64-bit. Instruction Set Extensions SSE4.1/4.2, AVX2. PRODUCT INFO. Product Condition: New. Trending at $330.00eBay determines this price through a machine learned model of the product's sale prices within the last 90 days. Sale is for processor only. LOC: Frey 9 -JS / (JM) (SR00Q). We are sorry for any inconvenience this may cause. No exceptions. Processor Number i5-4670. Processor Base Frequency 3.40 GHz. Processor Graphics. Model: Core i7-4790 SR1QF. No Exceptions. GreenCitizen ID Pulled from working unit. Tested and working well. Intel Core i5-7400 SR32W 3.0GHz Quad-Core 4 Threads LGA1151 CPU Processor. Condition is Used. Shipped with USPS Priority Mail. Trending at $152.50eBay determines this price through a machine learned model of the product's sale prices within the last 90 days. Loc: Frey 23 -AE SLANP. Sale is for processor only. We are sorry for any inconvenience this may cause. No exceptions. We do our best to describe the history, condition, & functionality of each unit to the best of our knowledge. The exact item you receive may not be the one in the pictures but will be exactly as we have described. Trending at $66.19eBay determines this price through a machine learned model of the product's sale prices within the last 90 days. A CPU, or a central processing unit, is the part of a computer that executes a program's instructions and takes on most of the workload. A processor is made up of individual cores, which are either integrated into a single circuit die or multiple dies in a single chip. A quad-core computer processor has four independent units instead of just one or two. What are the advantages of a quad-core processor? Quad- and dual-core technology splits each independent task between the cores, so the workload is completed in a more efficient manner. This is a technique known as parallel processing, which most programs are built to take advantage of. Other factors include the clock speed and the memory bandwidth of the processor. The bandwidth determines how quickly parts of the CPU can access memory. The architecture of the processor is another critical factor that determines how well each individual core shares the resources of the entire CPU. In general, a quad-core unit can process a higher workload than a single- or dual-core processor. 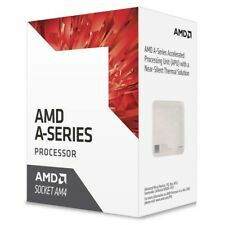 Can a quad-core processor work with any type of computer? Yes, quad-core CPUs are common in many types of computer devices, including desktop computers, laptops, mobile phones, servers, and workstations. Each type of computer may be designed to work only with a specific processor series, however. Intel Core i5 and i7s, for example, are made for desktops and laptops. The Intel Xeon is designed specifically for servers and workstations. Mobile phones work with their own mobile series of CPUs. Most mainstream processors are likely to be designed by Intel or AMD, two of the largest companies in computer technology. How many threads can a quad-core process simultaneously? Most mainstream processors usually contain one or two separate threads per core, with two being the most common. In computing parlance, a thread is a set of instructions for a particular process. Multi-threading allows the system to execute multiple threads at the same time. These threads appear as two distinct cores to the operating system, even though in reality it is only one thread operating in a single core. Multi-threading is a way of improving the efficiency and performance of each core in a multi-core system, especially when one of the threads is operating under heavy workload. Can I overclock my quad-core processor? Yes, most processors can be overclocked. This allows you to unlock additional performance from the computer by adjusting the voltage, memory, power, and other critical system settings. Overclocking will improve the clock speed of your computer above and beyond the base frequency. It is a common technique for improving the performance for gaming, image rendering, and transcoding. Most manufacturers include special software tools to help with overclocking.